If you're willing to hike for turns you can get some more freshies! 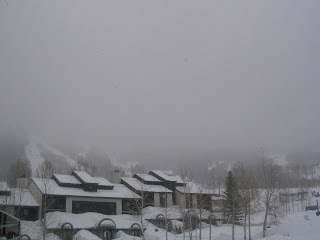 A few inches of new snow has fallen already this morning and it's not letting up. If you've never hiked for turns before why not try it out? It's obviously a great work out and there are methods to make it easier. Ask around to borrow some snowshoes or skins for your first time. Make sure you have a backpack or straps to hold your skis/board on your back. Oh and grab plenty of water. Start out hiking up Bill's Run or Tenderfoot. Then you can progress to Wonderbump. We've seen lots of people hike Bump in the last week and get some amazing lines!